The Northwest State Community College campus in Archbold was buzzing March 12, as the school hosted 60 college and university representatives and nearly 500 area high school students at the annual College Fair. Community colleges such as NSCC provide direct-to-job education pathways and valuable skills training, and transfer pathways for students in pursuit of bachelor’s degrees or higher. 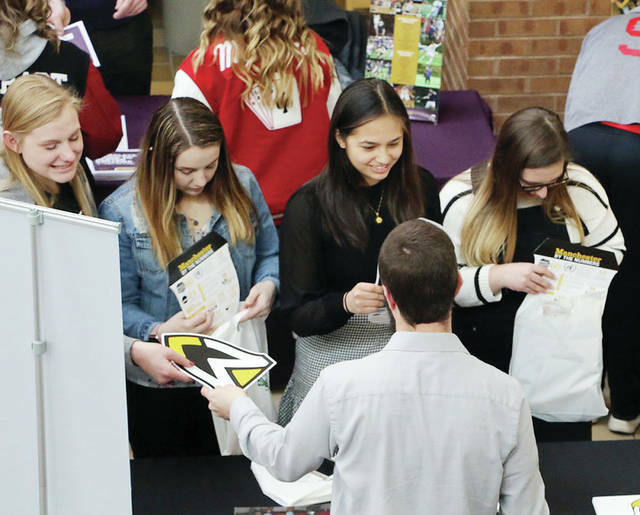 https://www.swantonenterprise.com/wp-content/uploads/sites/23/2019/03/web1_college-fair.jpgThe Northwest State Community College campus in Archbold was buzzing March 12, as the school hosted 60 college and university representatives and nearly 500 area high school students at the annual College Fair. Community colleges such as NSCC provide direct-to-job education pathways and valuable skills training, and transfer pathways for students in pursuit of bachelor’s degrees or higher.